This is an archived recording of a Periscope broadcast on June 28, 2015, from the 2015 ISTE Conference in Philadelphia. People interviewed in this broadcast included Shelly Fryer (@sfryer), Richard Byrne (@rmbyrne), Rodney Turner (@techyturner), Julie Lindsay (@julielindsay), and Wesley Fryer (@wfryer). We primarily reflected on the opening ISTE 2015 keynote by award winning journalist Soledad O’brien. The complete video runs 16.5 minutes. Referenced resources in the video included Google Cardboard, the AUtoAZ podcast Rodney does with Jenny Ashby (@jjash), and Julie Lindsay’s forthcoming book, “The Global Educator,” and the upcoming “Student News Workshop” on July 11th in Oklahoma City by Storychasers (@storychasers). 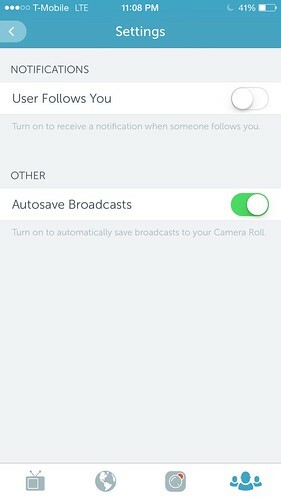 I had a lesson learned in this fourth Periscope broadcast: Be sure to choose “Autosave Broadcasts” in your Periscope settings BEFORE you broadcast. Periscope broadcasts are only saved and available for 24 hours on the Periscope servers. Since I hadn’t chosen “autosave” and did not immediately save the broadcast to my iPhone camera roll after we stopped recording, I had to play this back on my computer and screencast record it using Screenflow software to create this archive. That’s definitely a lot more cumbersome than simply turning on “autosave” before starting a broadcast! * Full Disclosure: ISTE provided me with a free “media pass” as an educational blogger this year. I am sharing multiple interviews like this from Philadelphia as an official conference Storychaser.